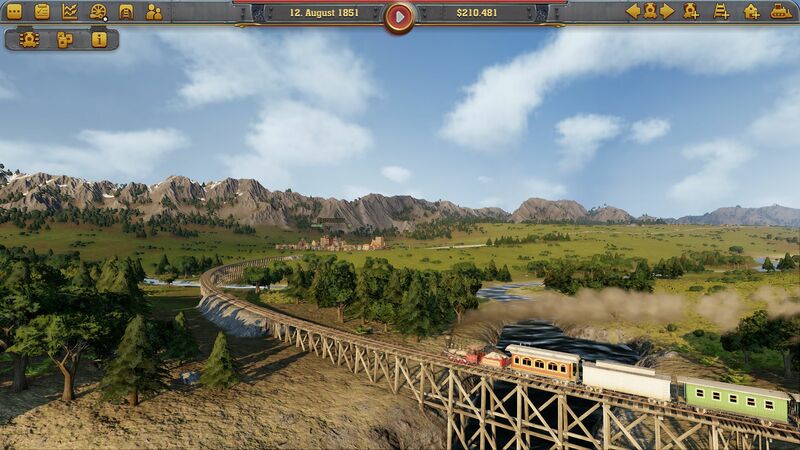 Dedicated railroad management games have been few and far between for the past several years so it is nice to see one released in 2018. 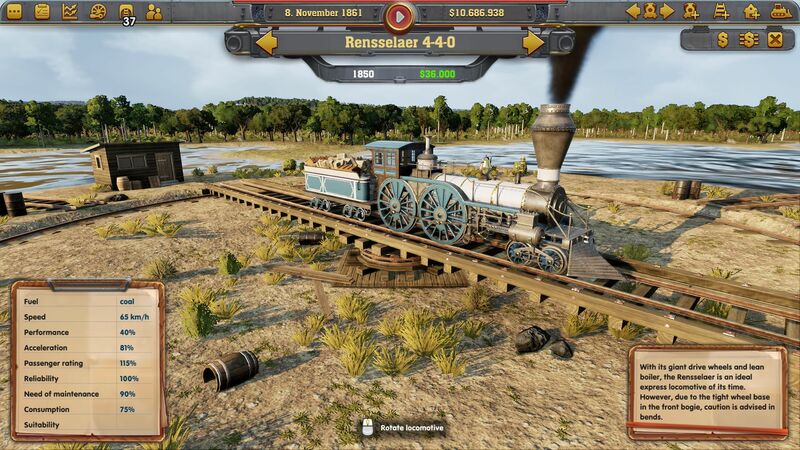 Gaming Minds Studios attempts to fill this void with the release of Railway Empire. Let’s take a look at what they’ve accomplished with this new entry into the Railroad Management genre. Railway Empire follows the creation and expansion of the railroad system from the 19th century into the 20th century. The campaign mode introduces you to Thomas Durant who was the vice-president of the Union Pacific Railroad during the creation of the transcontinental railroad. He guides you through the basics of the game before releasing you to expand your new railways across the Midwest. 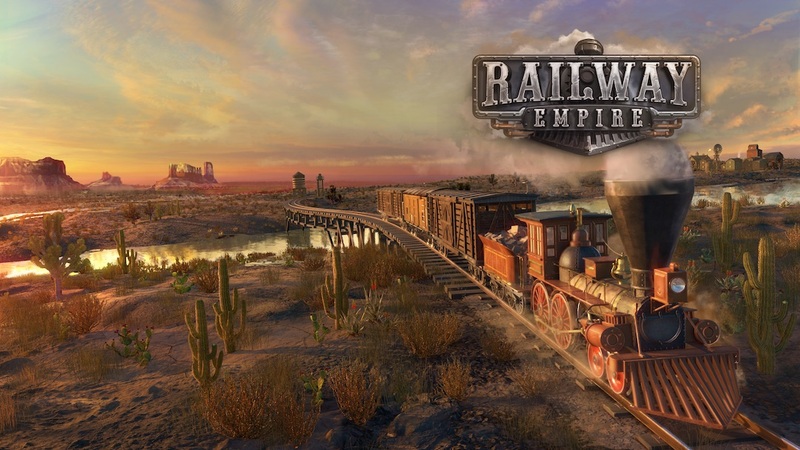 Along with the Campaign mode, Railway Empire offers you a plethora of game modes including Steam Workshop support and a Sandbox mode. Those of you looking for a challenge can try one of the many included scenarios or the Free mode where you can set the year, number of competitors and various other game settings such as your character. 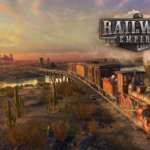 Each character in Railway Empire provides you unique benefits such as reduced costs for buildings or employees. If you don’t want to be bothered by having to manage finances, check out the Sandbox mode as the finances aspect is removed and you are free to spend money and build to your heart’s content. Throughout all the modes there is a vast tech tree laden with numerous upgrades to be unlocked as you progress through the game. The graphics in a game can sometimes make or break the game depending on how they affect gameplay. For me, the graphics in Railway Empire were solid with a couple awesome features that stood out. The game provides a good overhead view of the region but navigating the area is a bit unusual with the default settings. Instead of scrolling when the mouse reaches the edge of the screen, you use the arrow keys to move around the map. Fortunately, the option to scroll when the mouse reaches the edge of the screen is available in the Options menu. The two graphical standouts, in my opinion, are when you zoom in on the city and when viewing the landscape from the train’s perspective. When zooming in on the city, you see such details as pedestrians walking around the sidewalks, carriages traveling down the street and even smoke from the houses. You get a good, albeit small sampling of the town life of your passengers. My favorite graphical aspect of Railway Empire has to be the ride-along camera. This view puts you at track level in one of four locations on the train: the left side, right side, front or rear. Watching the scenery as you travel through the mountains and towns is both fun and soothing. The audio in Railway Empire is well done. There is just something nostalgic hearing the sound of a steam engine whistle. I found myself using the ride-along camera and blowing the train whistle frequently. As you expect, the train engines have unique whistles and sounds. During gameplay when managing your rail lines, soft instrumental music plays in the background. I did find it odd though that at times the sound would stop and there was a long bit of silence. Regardless, the audio is complementary to Railway Empire. Railway Empire may not be perfect yet, but it’s a very strong new entry into the Railway Management genre. If you have any interests in trains or railways, I suggest picking up a copy of Railway Empire. The game is $59.99 and is available for the Xbox One, PlayStation 4 and on Steam. Various Game Modes for every type of player. Limited time periods and regions available. Busy interface on certain screens. Routes can be tricky to place at times.